I had just arrived at a gathering of EFCA student ministries when a young girl approached me. “Are you Amy Richey? I was told to come and talk with you,” she said. Jane* (*not her real name) proceeded to tell me her story. Several months prior, she and her friend decided to run away from home. They were approached by men a little older than them with an offer to travel. Jane declined their offer, but her friend said yes. “I’m pretty sure my friend was trafficked, and the last time I heard from her was when she was in the Dominican Republic,” she said. She was holding back tears as she told me. I asked many questions and listened as Jane told me that her friend would periodically email and once in a great while call. Jane was fearful that if she ever notified the authorities of her friend’s correspondence, her friend would end the friendship. We talked for a long time about the importance of safety over fears of someone not liking us. We also talked about mandatory reporting and who might need to get involved in the situation. The girls lived in Iowa. They lived near gated communities. They had parents. They had teachers. Their friends and youth groups had probably sat through human trafficking awareness presentations. It is easy for us to believe that human trafficking takes place in other countries, but here? In the United States? How can this be true? We know that human trafficking is happening everywhere. There is no safe pocket of culture, no socioeconomic boundary not affected. It can be hard to believe, but modern slavery persists throughout the United States today. In 2017, Polaris, a nonprofit dedicated to eradicating modern slavery, found that there was a 13 percent increase in human trafficking cases reported to the National Human Trafficking Hotline since 2016. Of those cases, 80 percent of identified survivors who had been victimized were women and girls; 20 percent were men and boys. We know that human trafficking is happening everywhere. There is no safe pocket of culture, no socioeconomic boundary not affected. Three states have the highest number of human trafficking cases (California, Texas and Florida), but in order to stop human trafficking, all of us must be engaged in this crucial battle. What can we do, practically? A problem as large as human trafficking seems overwhelming. It feels like any little thing we do won’t make a difference. But wherever God has placed us, using the gifts and talents God has given us, we must work together out of a shared kingdom mindset, no matter how small the action may seem. God has called us to love our neighbors, and Jesus exemplified loving the marginalized, the people surviving at the edges of society. As Jesus told us, “By this everyone will know that you are my disciples, if you love one another” (John 13:35). How can we stop human trafficking in the United States? Here are five practical ways we can each get involved in the fight against human trafficking. Polaris is a great place to start. Named after the North Star, which guided enslaved people to freedom in America, the organization works to disrupt human trafficking networks, help survivors restore their freedom and leverage data to pursue traffickers wherever they operate. The Department of State’s Trafficking in Persons report (PDF) was also just released and includes a good deal of vital information, photographs and stories to contextualize the issue. Both Polaris and this report include localized information and key warning signs. Be aware of the common red flags that can make someone susceptible to being trafficked. If you think you know someone who could be suffering from trafficking, call 1-888-373-7888, the National Human Trafficking Hotline. It is available 24 hours a day, 7 days a week for anyone to call to report tips, seek services or ask for help. You may also call 9-1-1 to contact local law enforcement immediately, or text BeFree (233733) from 3:00-11:00 p.m. EST to get help or connect with anti-trafficking services in your area. 3. Start a Pray 4 Justice Group at your church. ReachGlobal has helped many churches across the country start prayer groups that commit to meeting once a month to pray for global justice. Sign your group up with our Justice Initiatives Group, and we’ll provide a list of items to pray for. You also can search local and national news to help spur on discussion and prayer topics. To start a group, contact me at amy.richey@efca.org. 4. Host a ReachGlobal Walk for Freedom. There are an estimated 27 million people enslaved around the globe today. Pledge to walk 2.7 miles on a date and location of your choice. ReachGlobal will provide a task list, timeline, information to distribute and other ways to help engage walkers. Your pledges of $27 per person or $100 per family will go directly into ReachGlobal’s Global Freedom Account, which supports our anti-trafficking ministry worldwide. Contact me at amy.richey@efca.org with the name of a primary contact person from your church to start planning your event and receive the needed materials. 5. Host an awareness event at your church. ReachGlobal can help you locate speakers, articles, ideas for discussions, Bible study referrals and other tools for you to use to help your church and friends understand this complex issue better. Genesis 1:27 teaches us imago Dei, that all humans are created in the image of God. All people deserve dignity and should never be dehumanized, exploited or marginalized, as so many are today, in the United States and around the world, through human trafficking. 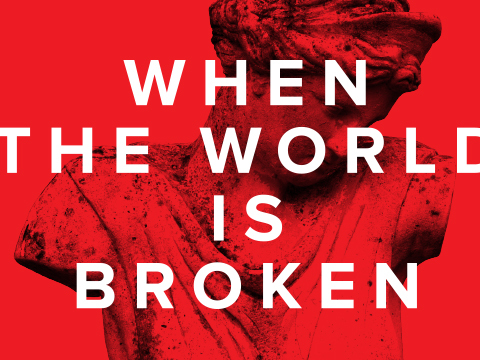 We, as the Church, are called to love a hurting and broken world. We offer true hope, forgiveness and restoration through the gospel. These strongly held beliefs that we share should spur us to action, and our action is how we show this love of God to those in need. Will you join us in this fight? In light of the United Nations’ World Day Against Trafficking in Persons on July 30, learn more about the EFCA’s work to stop human trafficking, including the Global Freedom Fund and your role in this fight. Amy Richey is director of EFCA ReachGlobal’s Global Equipping and leader of the Community Development Team.